Expand search to view more listings in and around Aventura. 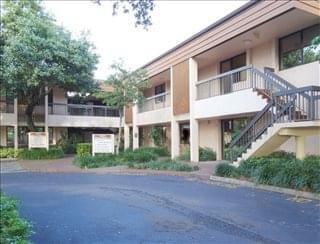 See more offices in and around Aventura. We have a wide range of buildings and locations available and can offer a range of office solutions from conventional leasing to virtual office services; from temporary serviced office rental to coworking spaces. To help you find the ideal location for your Aventura office, the Offices.net site makes it easy for you to quickly search and get the vital details about each space. With a large range of property types available, you can find Aventura commercial real estate, managed offices, executive suites, shared space and more. 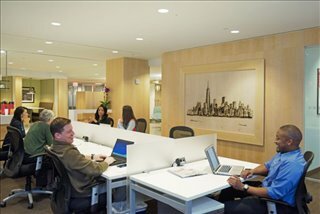 Our goal is to provide your company with the space you need - be it leased spaces, executive office suites, coworking space or virtual office services - in Aventura, Florida on leased or rental terms, according to your business' needs. Overview: The Aventura office market is comprised of more than 2.5 million square feet of office space. This is a mid-sized sub-market consisting of two main districts: downtown Aventura and Biscayne Corridor. Despite not being particularly large, the local office market is one of the tightest in the Miami - Dade County and has some of the county's highest occupancy rates. 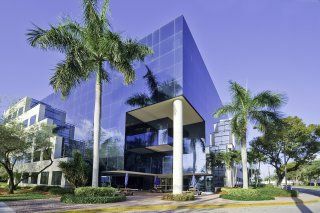 Occupier Profile: Aventura offices offer a convenient base for firms who want to be based within easy reach of Miami without having to pay premium rental rates for office space. Tenants mostly consist of small independent businesses and finance firms. Medical offices are also in good supply here given the importance of the healthcare sector to the city's economy. 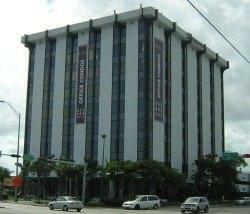 Medical offices tend to be clustered in the northwest end of the city, between Biscayne Boulevard and Hallandale Beach Boulevard. 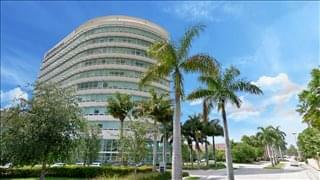 There is also an office park located immediately south of this area, and the central business district is in the southern end of town, between Aventura Boulevard and Maule Lake. Vacancy Rates and Availability: The office market in Aventura shows similar trends and indicators to those observed in the Miami - Dade County. The Biscayne Corridor area is characterized by strong demand that is bringing vacancy rates down at a steady pace. Vacancy levels are approximately 15 percent, but are lower in downtown Aventura, where they average 8 percent, being lower than in Miami's CBD. Aventura, FL Office Space Costs: Average asking rents for all classes are $32 / sq ft / year and $42 for Class A space, a figure that is significantly lower than the Miami average at $38 / sq ft / year. However, in downtown Aventura quoted rates for high-end offices can exceed $47 / sq ft / year (2017 data). New Builds and Refurbishment Projects: The development pipeline is rather active, since there are extensive redevelopment plans already underway in Uptown Biscayne, where more than 150,000 square feet of space will be added to the city's inventory in the short to mid-term, in addition to other proposed developments of a similar scale in West Dixie Highway. If you're interested in renting or leasing office space in Aventura give us a call and let us help you search for the perfect workspace. The serviced offices and available spaces for rent in Aventura offer a wide range of business support services which include telecommunications set up, broadband internet and network wiring, trained receptions and office administration personnel and, in some cases, IT support staff. In addition, many of the business centers and offices for lease also provide spacious conference/meeting room services and business lounge facilities with free car parking, kitchen areas and, in some cases, even onsite gyms. Coworking spaces are available at several business centers and commercial properties providing you with access to professional workspaces at a fraction of the cost of renting private offices. These coworking offices for lease are ideal for individuals as well as for projects and teams or small businesses that are happy to work in a collaborative environment. We can also help entrepreneurs, freelancers and small businesses find virtual office solutions, providing you with a business address in an ideal location and access to a range of pay-as-you-go services. Virtual offices are an economical way to secure a prestigious address for your business while maintaining flexibility and keeping your budget under control. Aventura is a planned city conveniently located in Florida's eastern coast, 12 miles away from Fort Lauderdale airport and approximately 18 miles north of Miami. The city is part of Miami - Dade County and has an approximate population of 37,000 people. Aventura was incorporated in the mid 1990s, when it already had a well-developed industry that relied on insurance, finance, sales, retail, leisure, hospitality, and healthcare services. Today, the largest employers in the city are Miami - Dade County Public Schools, Turnberry Isle, Ramada Hotels, Bank of America, Macy's, Target, and SunTrust Bank. The city has a healthy labor market sustained by a young and educated population. More than 54 percent of all Aventura residents are aged between 18 and 65, and unemployment levels hover around 4.5 percent, one of the lowest rates in Miami - Dade County. IT and management are the highest paying jobs, with average wages ranging from $75,000 to $85,000 / year. Management and office-based support professions account for almost 4,500 jobs, and a further 2,000 local jobs are in sectors like legal, business services, and finance. Aventura's business environment is supportive of small companies and independent ventures. Self-employment rates average 11 percent, a figure that is on par with the Miami - Fort Lauderdale metropolitan area. Overall, the local business community enjoys a healthy status despite the city's relatively small size. To find out more about any particular property, executive office space, shared space, office center or private office space for rent featured above add it to the form or give us a call. The serviced office space, coworking spaces, managed offices and virtual office services listed on this site are available for immediate rental on flexible terms. 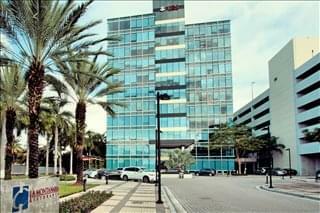 The Aventura office space for lease listed above is available now, priced per square foot as displayed. Whether you are looking for short term office space or the option to expand and contract your operations as necessary, we are here to help. 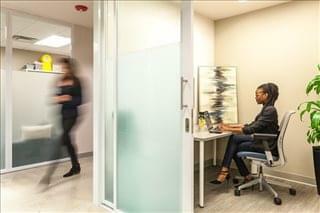 Search through the available office space on the site or contact us to discuss your company's specific requirements.